Can a place hold a memory? Do actions of the past have sway over what happens in the future? Do memories create magic, or does the magic create memories? Step into a world where magic and mystery combine, where the past blends with the present and events beyond belief unfold. Then realize it could really happen: In a state called Georgia. Step into Shadow Child’s world, a collection of seventeen stories, sixteen fiction and one non, following the history of Coastal Georgia from 400 years ago to today, where the land tells a story of joy, sorrow, pain, and triumph; where anything can happen in the hearts that beat on it and are buried in it. 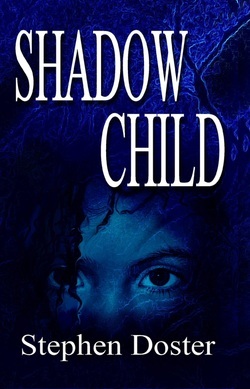 Shadow Child chronicles a historical artifact and the people it impacted from 1597 to the 21st century. Each story is able to stand alone but is part of an intricate path that leads you home. The stories vary in scope, ranging from historical fiction to the supernatural. A sub-plot threads throughout the book from beginning to end. In the first tale, Flight to Sam Simon (1597), a bronze bell is taken from a Spanish mission during an Indian uprising and is lost in what is present-day Gould's Inlet on St. Simons Island. The bell is discovered by two slaves two hundred and fifty years later in A Man Whut's A Man. It hangs briefly from Christ Church after the Civil War in Casagrande and is returned to the Franciscan Order in the final story, Padre's Run. "Stephen Doster is a master in narrative storytelling. This moving testimony to coastal Georgia’s history tells the story of survival and growth with tales of high-spirited valor and bold tenacity. The tone of the book shifts in interest as Doster describes the danger and treachery of the early Native Americans, Spanish and English settlers to the tenderness and integrity of slave families, to the often humorous Gullah-Geechee voodoo stories. Some of the characters (and even a Spanish bell) flit from one tale to the next. Told with delicacy and inspiration, Stephen Doster’s craft and keen insight as a native Georgia historian will make you weep (Tides Turning), laugh uproariously (Casagrande) and marvel as you absorb his writing. When you get to Kiss the Rim, it’s pure magic! A FIVE STAR read!" "Having immersed myself completely in non-fiction recently, I’d totally forgotten how delicious historical fiction could be until I read Stephen Doster’s new book, Shadow Child. As a Saint Simons resident, the stories have a special meaning for me, like a box of candy for a sweet tooth. Whatever you’re looking for in your next read, this book has it all. I highly recommend it."